Jeremy Thiel: Getting there one Step at a time! 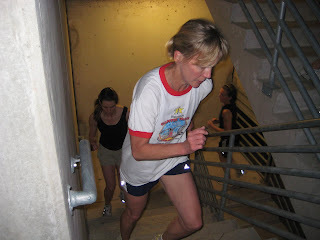 Lea Allison and Merrily climb 4 flights of stairs three times to complete an intensive Crossfit outdoor workout! 530 - 630am Tuesday Thursday Boot Camp.